If you thought you could get through February without any more - weeks and - months, you'd be wrong! 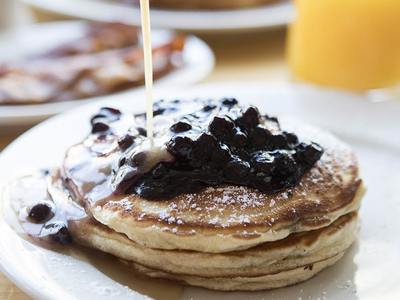 Clear some room in your calendar (and your stomach) for Pancake Month, hosted by one of NYC's premier breakfast institutions Clinton St. Baking Company. Some ingenious flavors include Blueberry Yuzu pancakes with yuzu curd, vanilla bean whipped cream, yuzu syrup, and shortbread crumble, and Crunchy Bananas with Mexican cinnamon-chili-chocolate sauce. Mmm.